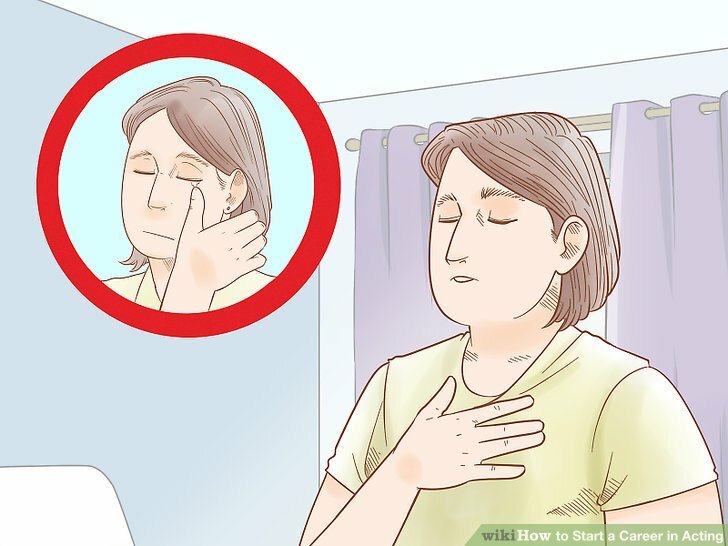 Have you ever stood in front of a mirror enacting a scene from your favorite movie, or visualized yourself making the acceptance speech with an Oscar in your hand? Instead of dreaming about how great you would have been in the latest block buster, start learning about how you can be on the big screen. 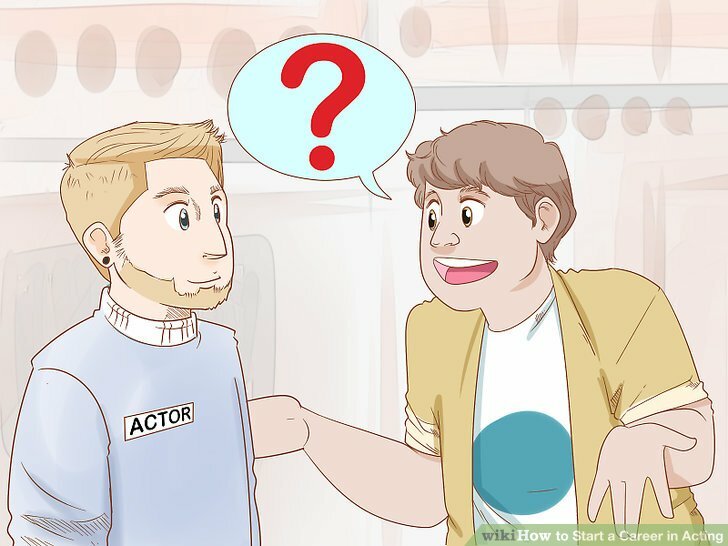 Although it is definitely hard work, and can take many years before you land a role, there are basic steps you can take to begin your acting career. 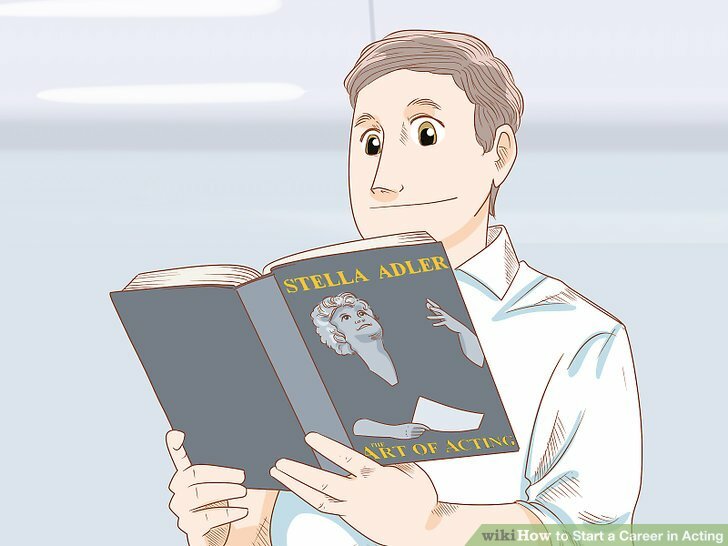 A good way to introduce yourself into the world of acting is by reading books written by actors or acting teachers. You can learn about acting techniques and methods, how auditions are conducted, or what the best ways to get started are. Good books to start with might be Sanford Meisner on Acting written by Sanford Meisner and Dennis Longwell, or The Art Of Acting by Stella Adler. These books will help you learn about what to expect as an actor. 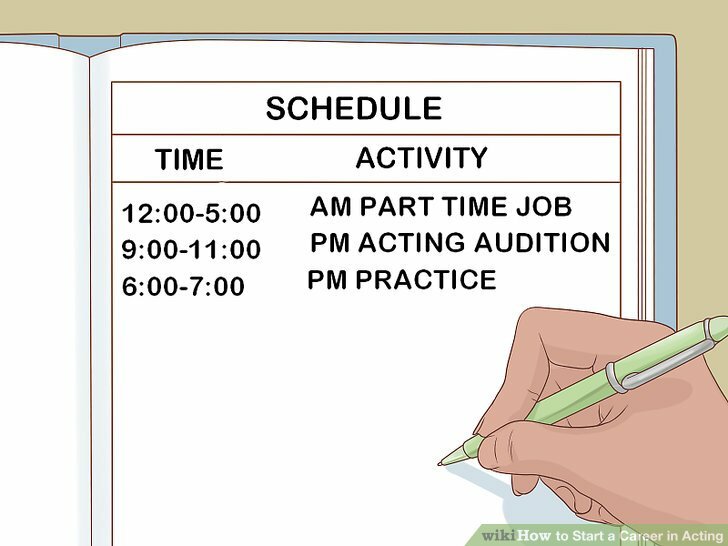 Acting is very time consuming, and if you seriously want to start your career in acting, you will need to dedicate more time to it than just the weekends. If you currently have a job with demanding hours, you may want to consider getting a job with fewer hours, or a more flexible schedule. Many aspiring actors find jobs in the restaurant industry either serving or bartending. 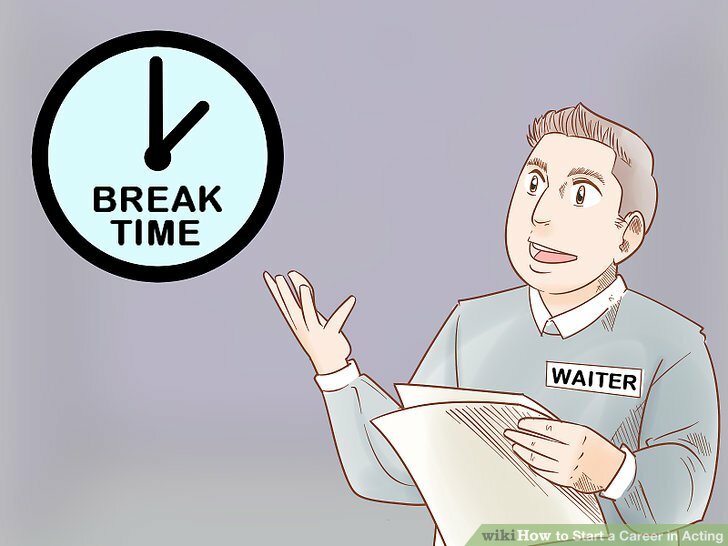 It is a great way to earn good money while allowing you the opportunity to switch shifts with another employee if you have a last minute audition, or only work during times that still allow you to go out for auditions. Many aspiring actors are surprised at how time consuming it is to constantly go out on auditions, memorize lines, and develop their acting career. Once you realize how much time you need to dedicate toward acting, you may want to cut back at work, or be tempted to leave your job altogether to focus on acting. 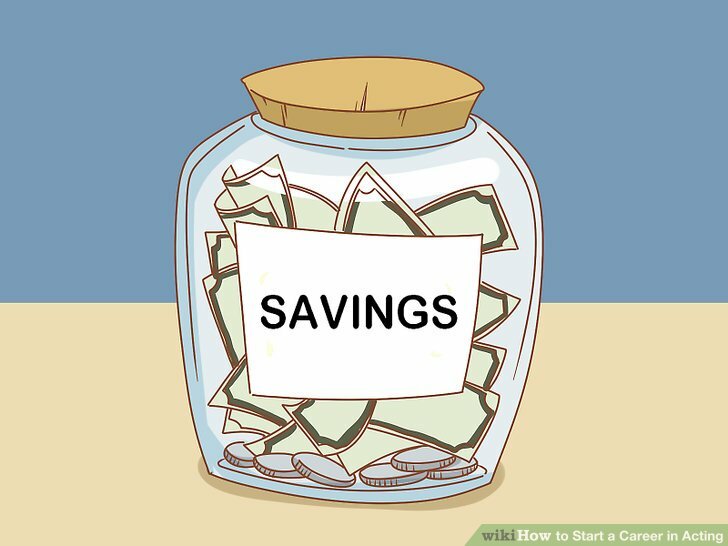 Before you make any drastic decisions about your job, make sure you have a hefty savings account to fall back on. You do not want to find yourself looking for acting work, and not able to pay your bills. Join acting classes and workshops. With a little searching around online, you can find acting schools near you that offer a wide range of classes. 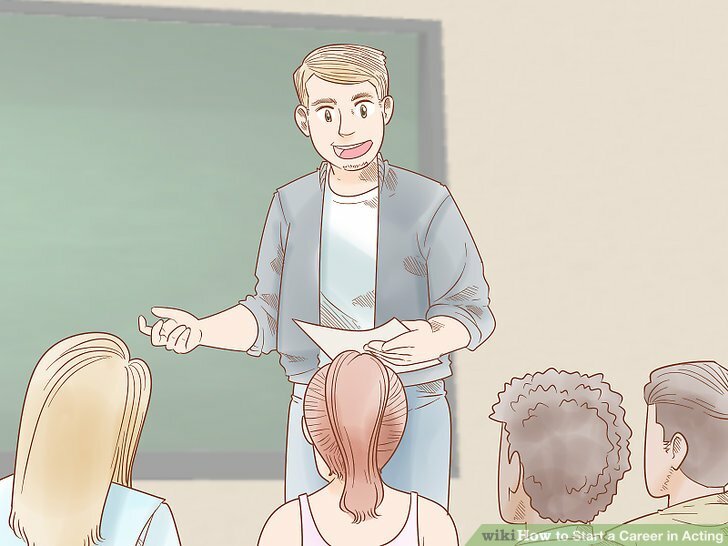 Before joining the first class you come across, do some research about the school and teachers to make sure they can offer you what you are looking for. It is important to take classes that teach you the basics of acting, so that you can develop a strong foundation to build from. Look for classes that teach you how to break down a script, create a truthful character, and show you how to have a strong and flexible body and voice. 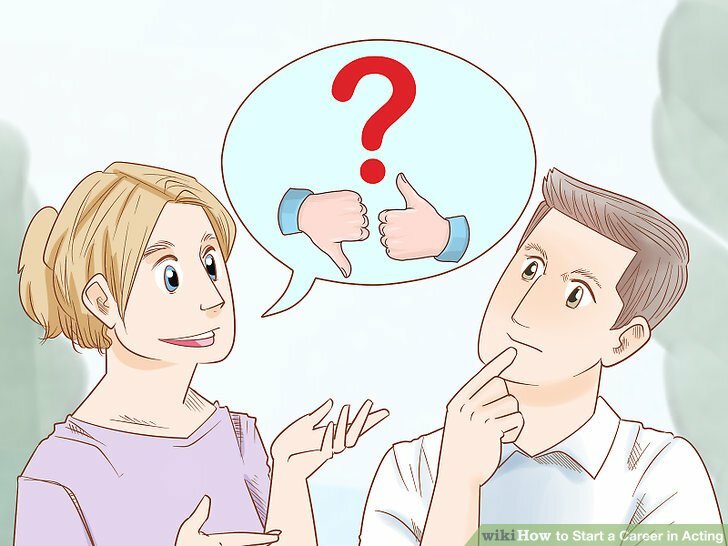 “Do you have any advice for someone who is just starting off”? Decide what type of acting you want to pursue. 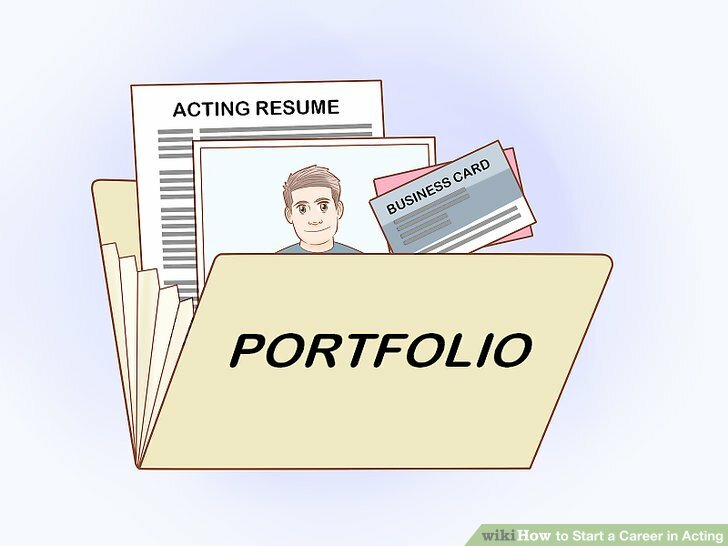 Head shots are an essential part of receiving roles because casting directors use them to get a basic idea of who you are so they can decide if they want you to audition. It is highly recommended that you get these pictures professionally taken in order to get a quality picture that is flattering, and shows the casting director you are serious about acting. While they are expensive, you only need two great head shots to get started. Keep in mind, head shots range from $50-$1000, so be sure to do your research before going just anywhere. 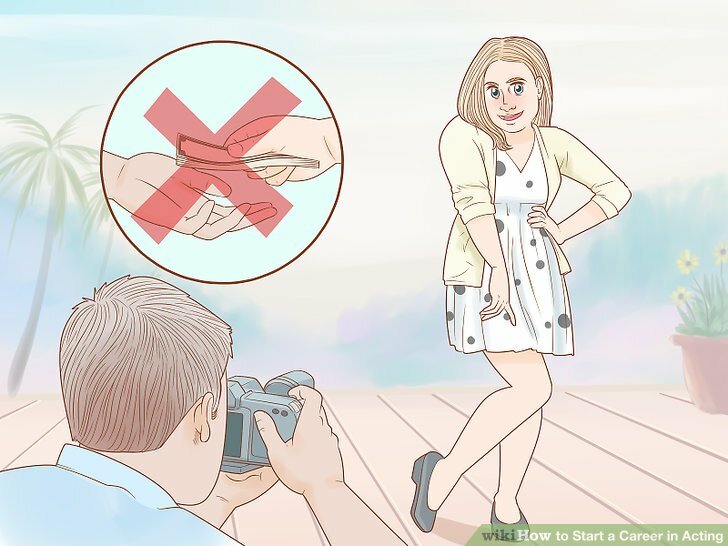 You don’t want to break the bank, but remember that you want to capture the attention of the casting director with your photos. Current contact information so the casting or acting agent can contact you. List any acting memberships you may belong to. Explain the type of role you believe you are best fit for to better inform agents and recruiters about your type. 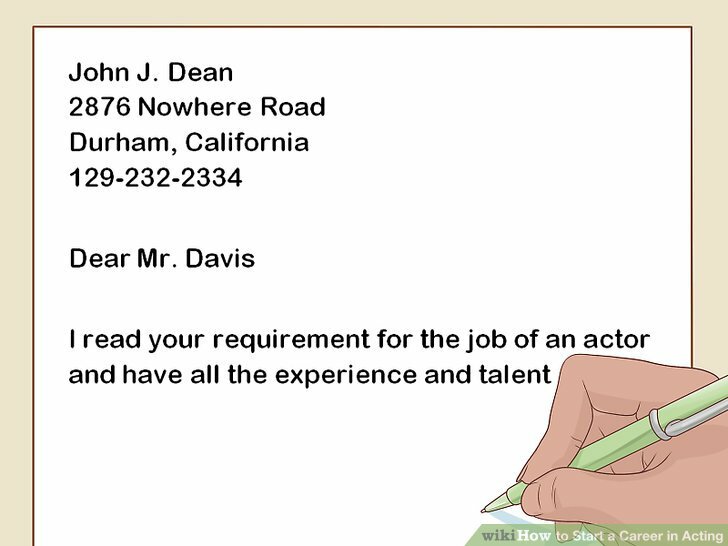 For example, state if you want a leading role, supporting role, voice-over part, or a non-speaking role such as an extra or stunt-double. Include whether or not you can speak multiple languages. 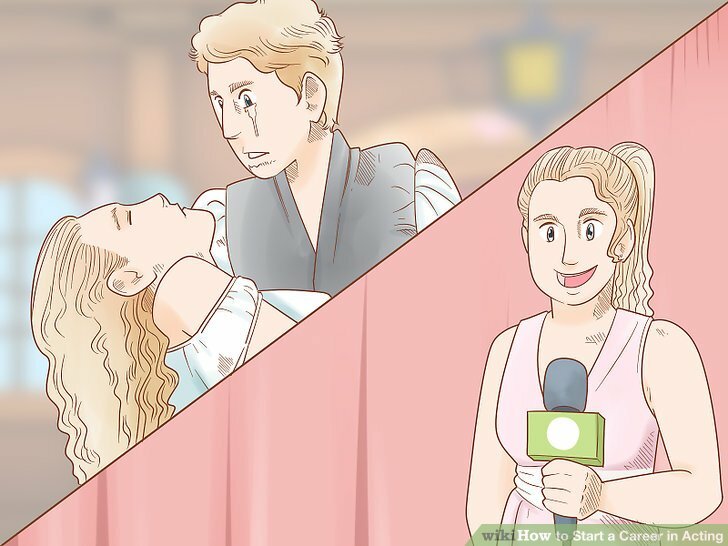 This may open you up to more acting parts. Start your letter with a greeting, and explain your interest in the specific role. State where you went to school, what you are currently working on for your acting career, and what your goals are. This will show your commitment. Talk about your best acting accomplishments, or anything you are currently working on. This will show that you have skill and experience. Suggest for them to take a look at your head shot and resume to get to know more about what type of actor you are. This can be in a binder or folder, and should have your head shots, acting resume, cover letter, and possibly a business card inside. This allows you to keep all of your important materials in one organized place. 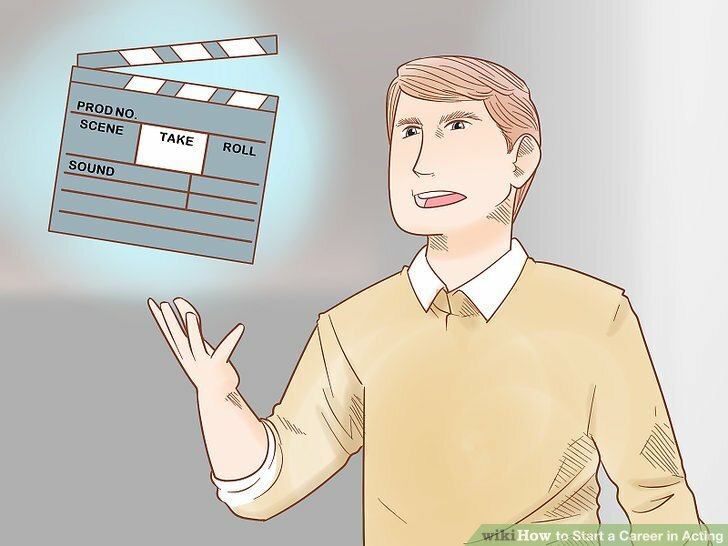 If you have done previous acting work, you should keep it on a DVD, or stored digitally, so you can be ready to show it to a casting director or agent. Acting agents utilize their contacts and inside information to help find you jobs. Agents want to find you work, it is how they make money. They will work to set up meetings with casting directors and get you auditions. Agents use your personal information and skills to send you out for jobs that suit you best. They also receive information you do not have access to such as why you may not have gotten a part you went out for. It may be hard to hear negative feedback, but it may also help you grow as an actor. Try to find a franchised SAG agent. These agents often have more connections, and they can offer you more legitimate representation. To find an agent, research agents online, and mark down the people you are interested in working with. You can read reviews about them, or look them up on the Better Business Bureau to see if they have had claims filed against them. Once you find an agent you want to work with, set up a meeting, or send over your portfolio. Hopefully the agent you desire is interested in working with you. Never pay an agent before you get a job. Find auditions on your own. 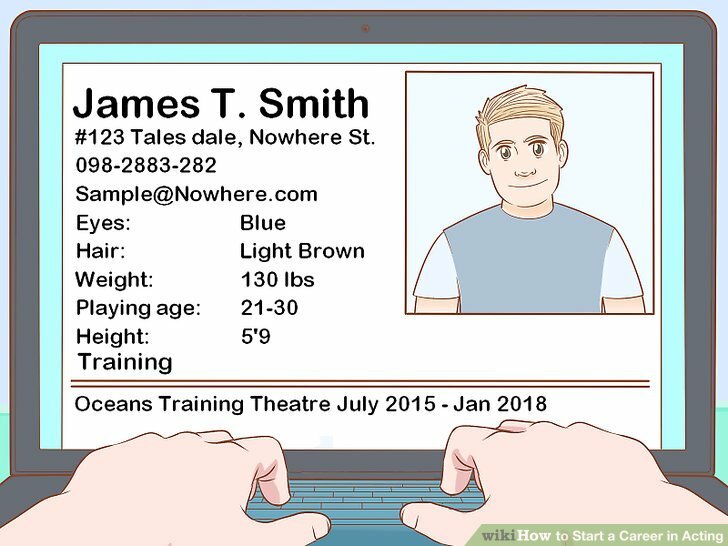 If you do not have an agent, or you just want to see what is out there, city websites can be an excellent resource for checking out local auditions and casting calls. Many films will post current projects and auditions that you can look into for free. 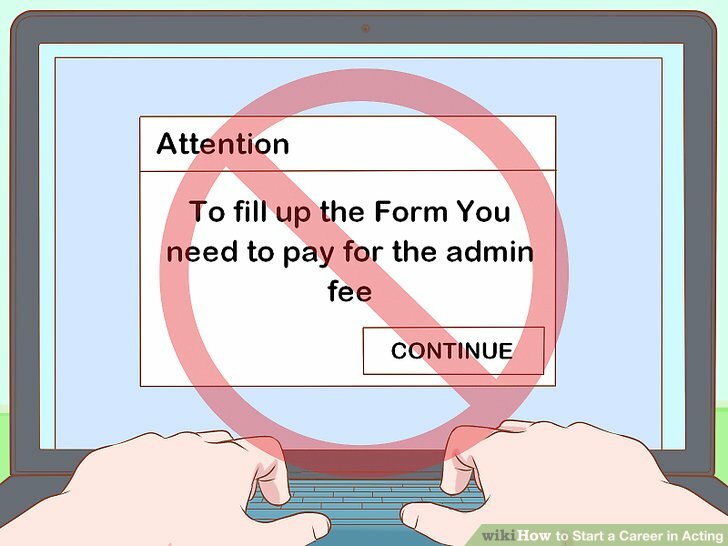 Watch out for audition websites that require you to pay money to set up an account to find auditions. This might be a scam. 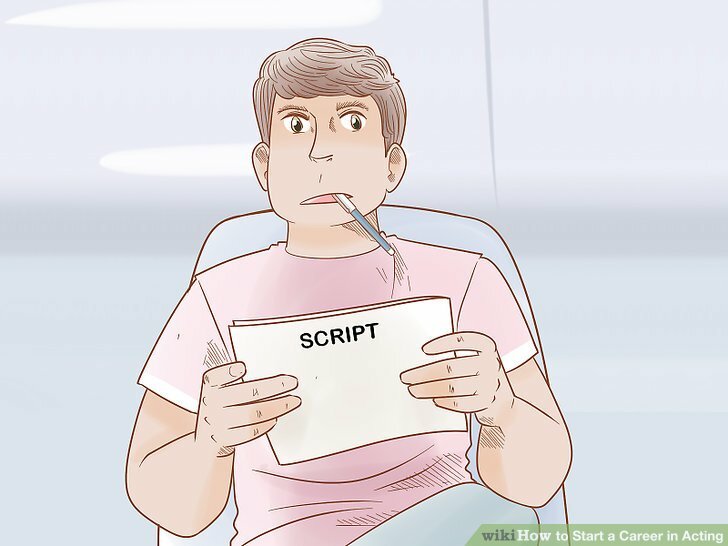 One of the most important things you need to do for an audition is to memorize the script. This signals to the casting director that you take the job seriously, and that you are a professional. Besides just knowing the lines, make sure you understand the character. 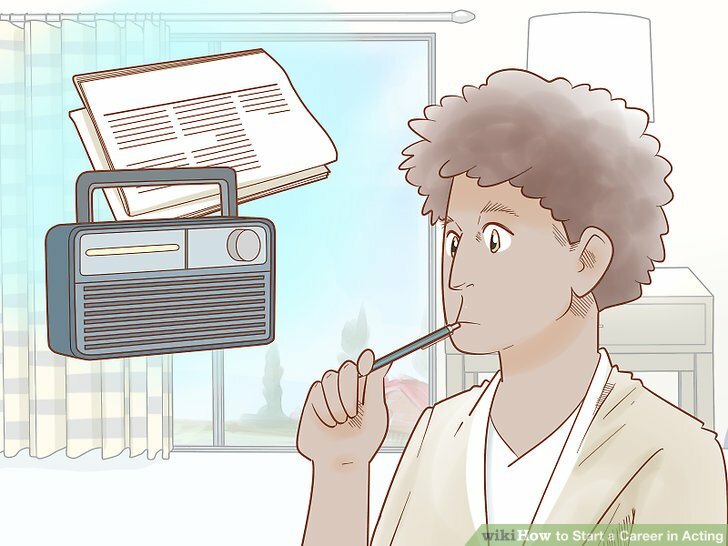 You should practice auditioning at home in front of the mirror, or other people, so you can get a good feel for the part, and gain confidence. You should practice the part enough so that it feels natural and believable. Do not touch any of the equipment or food at the audition. 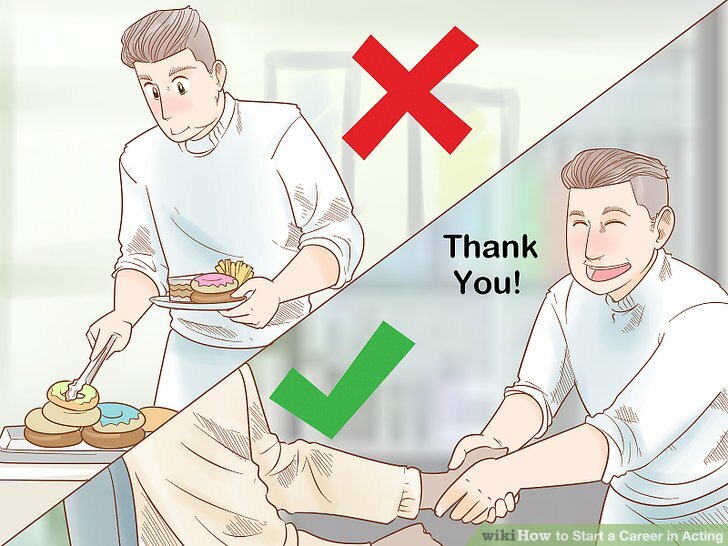 You are there as a guest, and you should be respectful of everything and everyone around you. Check your personal habits at the door. You should never smoke or chew gum during an audition, unless it is part of the role. After your audition, be sure to thank the casting director, and anyone else who helped make your audition possible. Consider moving to a location with more acting opportunities. Acting auditions are not available just anywhere, and if you want to increase your opportunity to launch and build an acting career, you may want to move to a city that can offer you more chances to audition, and build acting connections with other people in the industry. 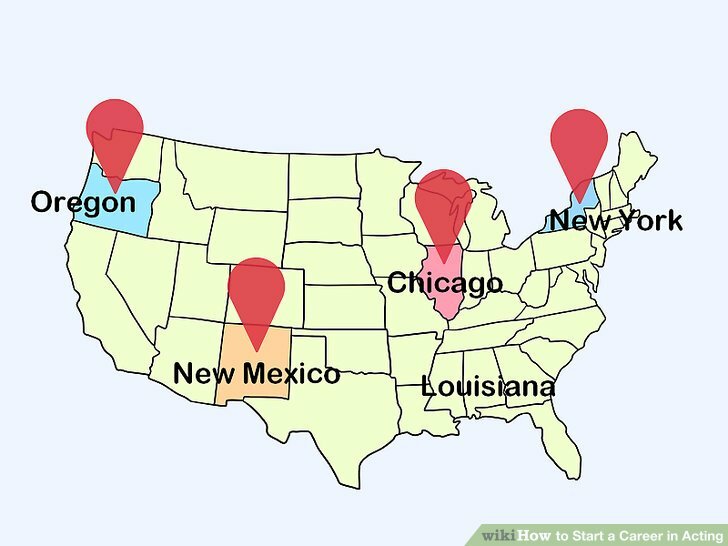 While L.A. and Hollywood have a great reputation for actors to get started in their career, there are other places across the United States that have gained popularity among production companies such as New York, Chicago, New Mexico, Oregon, and Louisiana. Before jumping into anything, make sure it is legit. If something sounds too good to be true, it most likely is. There are a lot of people out there who try to make money by taking advantage of aspiring actors. You want to be sure that all of the jobs you audition for are legitimate and are not just trying to take your money. 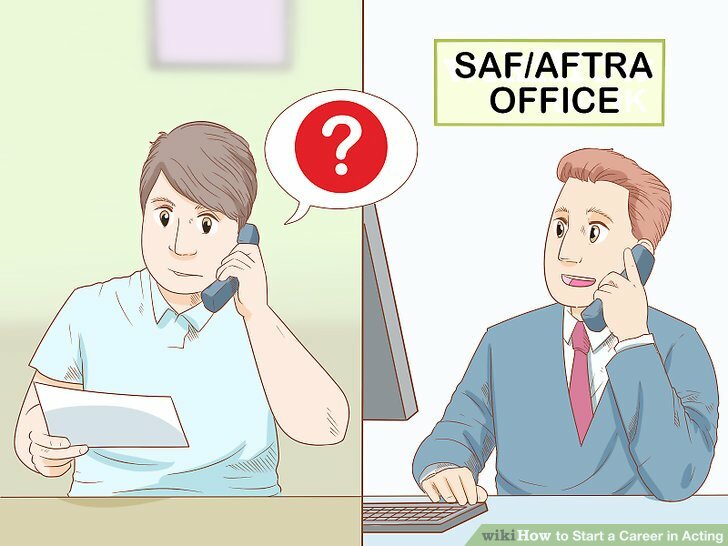 If you are not sure about an audition, call your local SAG/AFTRA office, and express your concerns. They are very knowledgeable and will be able to provide you with sound advice. Watch out for advertised auditions. Stay away from websites that charge money. 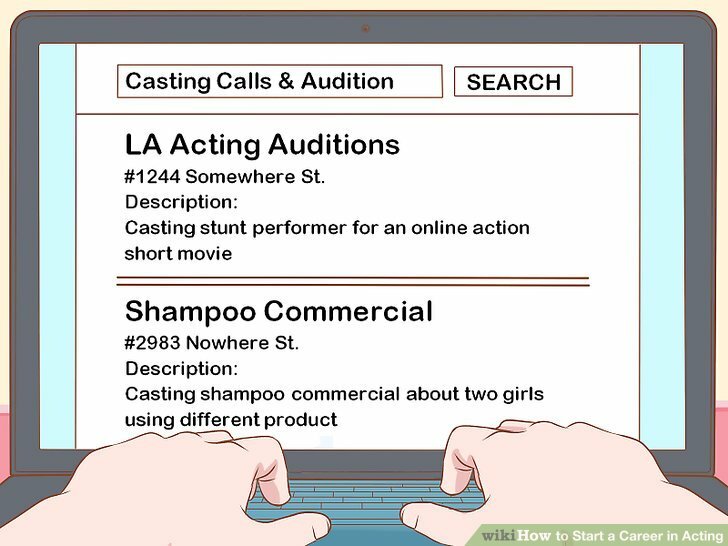 There are many professional looking websites that promise to get you an audition and help you to become an actor. These are most likely scams that will do nothing but take your money. Do not pay talent companies for pictures. If a talent agency tries to charge you money for pictures, it may be a scam. Talent agencies try to take advantage of actors with no experience by getting them to believe that they have to pay for pictures. There is no reason for you to ever do this. If you find yourself in this situation, you are better off walking away. Gain a lot of experience. Take advantage of anything that can hone your acting skills. Look into community theater, low-budget projects, student films at local colleges, commercials, or indie films. On top of acting experience, find work behind the scenes of a TV, movie, or commercial set to help you learn as much about the job as possible. Art colleges that have film programs allow students to post jobs at the school when they need actors for a school project. Try working on these roles for experience. Actors that are just starting out should not turn there noses away from small roles, or roles that they do not believe suit them well. Any job is a chance for you to practice your acting range and build skill and experience. You never know when one acting role may lead to another role for you. Spend time each day working on acting. Whether you have decided to devote all of your free time to pursuing acting, or you are trying to fit it in around your full-time job at the office, try to dedicate at least one hour a day toward your acting goal. You can learn about new auditions, attend acting classes, see a play, study a movie, or update your resume. There is always a lot to do, so try to accomplish something each day. Use feedback to improve your acting. No matter how many years you have been acting, or how many acting classes you have taken, learning the craft of acting never ends. There is always something you can improve on, grow from, or challenge yourself with. Always be open to suggestions, and be willing to change. When a casting director or acting instructor has advice for you, do not block out their suggestions and get offended. Truly listen to their critique, and ask them for advice on how to improve. Be ready to face a lot of rejection. You may go on a dozen auditions and not get a single call-back. This can be hard on the ego and spirit. Try to remember that this is part of the business. There is going to be a lot of competition, and you are not going to get many parts that you go out for. 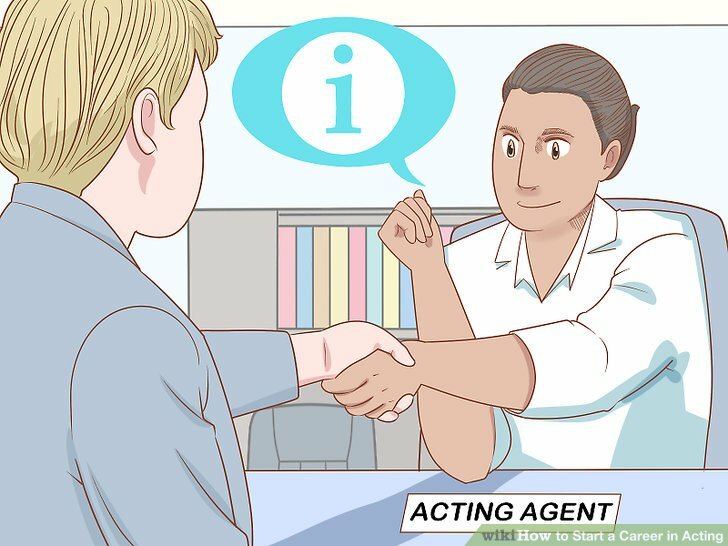 Sometimes, your acting agent will tell you what the casting agents did not like about you or your audition, and you have to be emotionally ready to hear that. 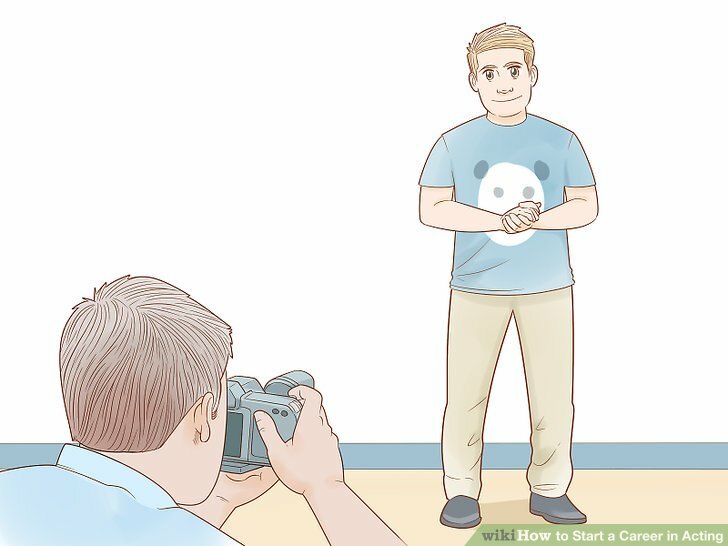 Instead of letting it crush your self-confidence, think about how you can grow from any of the criticism for future auditions. 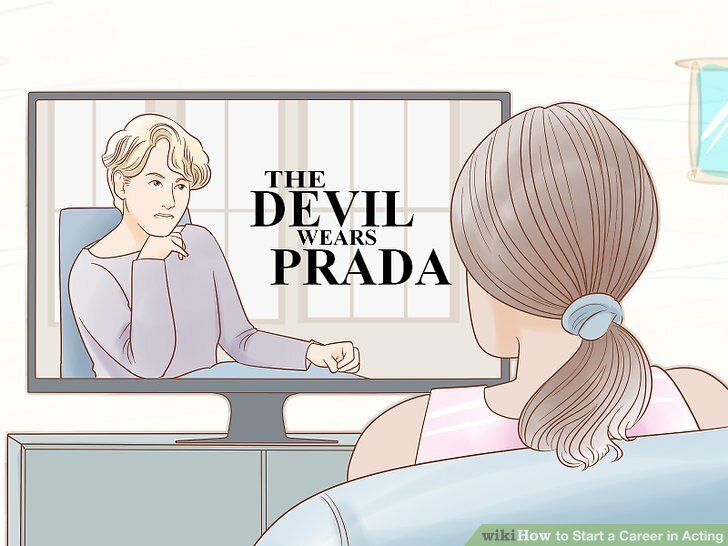 Realize that there may not have been anything wrong with your audition, but the casting directors may have had a very specific idea in mind, and you were not it. Just be patient, and keep auditioning. Acting is not for the faint of heart. When you feel overwhelmed, remind yourself that this is what most actors go through before they find work. Find emotional support by talking with fellow actors about their struggles and fears.